When using information for research you must use good critical thinking skills to evaluate it! There is a huge range of quality in web resources. 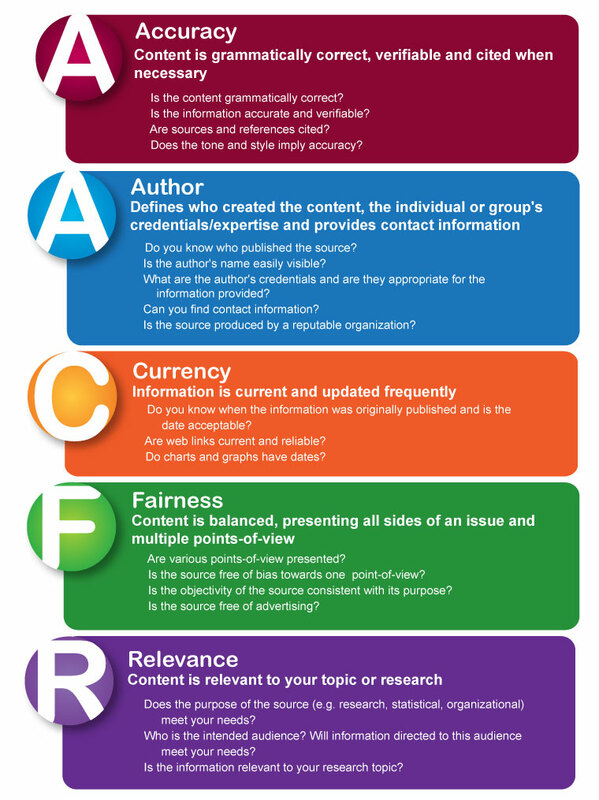 In order to determine if particular information or a website would be worthwhile to use in your research, consider the criteria in the box to the right. This excellent 3 minute video from NC State University Libraries explains what credible sources are, why it's important to use them, and how to determine if sources are credible. Click the box in the left bottom corner to make it appear full screen. Use the criteria below to review the website you are evaluating. A high quality source with good information will enable you to answer MOST of the questions in each box with a "YES."